In the month of June, 2018, Guadalajara in Jalisco, Mexico, gave birth to a monster. Inspired by the horrific atmosphere and cadaverous sound of especially gruesome strains of death metal from the ’90s, guitarist Roberto Trejo, guitarist/vocalist Pablo Aceves, bassist Néstor Márquez, and drummer Saúl Anzaldo joined forces to spawn this ghastly entity known as Rotting Grave. Rotting Grave wasn’t the first fruits of their labors within the fetid spawning grounds of extreme metal. Those four had sharpened their skills in such other bands as Morbid Messiah, Ictiosis, Worthless, Condemnation, Portrait of Ruin, and Human Trash. But with Rotting Grave they’ve clearly created something that puts their talents to very good use — as you’re about to discover. 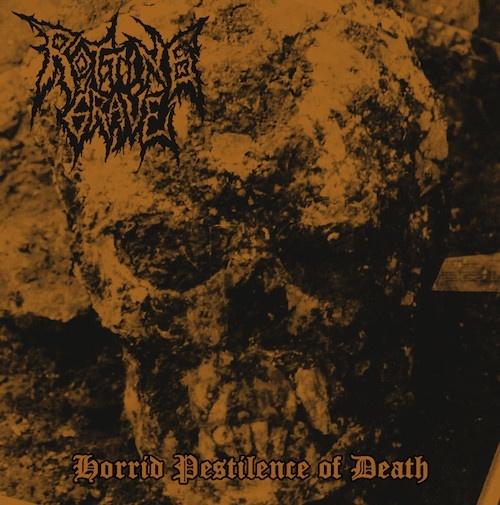 Rotting Grave’s first EP, Horrid Pestilence of Death, will be released on April 29th in a CD edition by Death In Pieces Records, and what we have for you today is one of its six tracks, one that shares the band’s name, one that’s hideous and thrilling, repellent and addictive. “Very heavy with a lot of great riffs in there and I love the sick solo bass lines here and there. A good mix of some slow heavy riffs giving way to some fast death. Sick vocals as well. It all works together to bring a feeling of fear and desperation”. And so it does. “Rotting Grave” (the song) is a fine example of what Rotting Grave (the band) have wrought. It’s also a fine example of one of those sick solo bass lines that Mark Sawickis called out. The bass is the first thing you hear in the song, and its massive rumbling tone immediately sets the stage for a gruesome but electrifying ride, a hugely headbang-able combination of titanic juggernaut demolition and cruel slaughtering. The band move from a gigantic lurching stomp into a pestilential boiling swarm. The tone of the guitars is toxic; the sound of the snapping snare and the gut-thumping kick drum is explosive; the vocalist roars and shrieks things that sound hateful and horrid. When the drummer and that brutal bassist drive the song into a battering gallop, the guitars become the squalling sound of a monstrous feeding frenzy. And then long groaning chords establish the foundation for a wailing, screaming, skittering solo that’s a thing of horrifying beauty. Such delicious depravity! 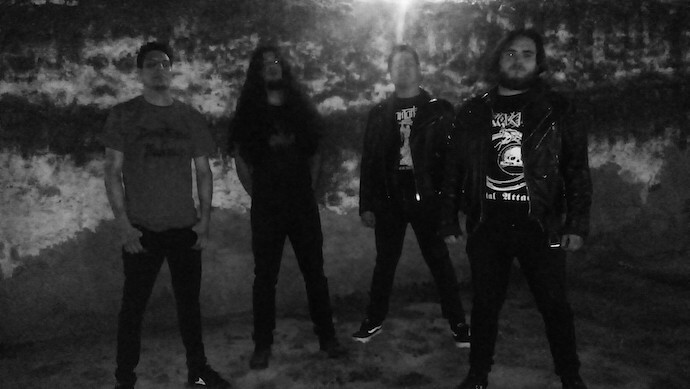 And there are five more tracks of foul and ferocious death metal to be found on Horrid Pestilence of Death, which features cover art by Jesús Brilanti. Contact Death In Pieces via the e-mail addresses below to secure a copy of the CD before the release on April 29. This is exactly the kind of death metal sound that skull-fucks the joy center in my brain. I really really like it! Right? It’s amazing how many people think I have “no talent for sales”, and “should be arrested”. I mean, they’re half right, but only half. Great sound from the old grave, sounds like the essence of putrefaction surrounded by corpses. A sick hell! Congs… and stay rotting. Total support to this new opus from grave!! !